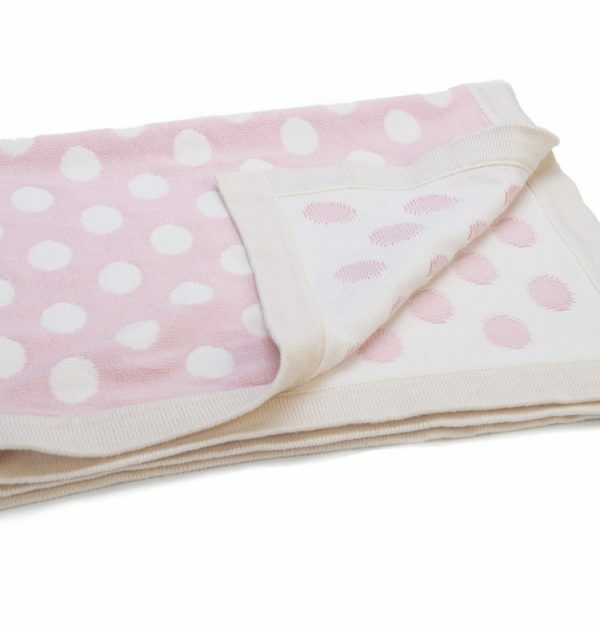 With a double sided pattern and styled to perfection, it has been knitted in beautiful two-tone colours, pink and cream. 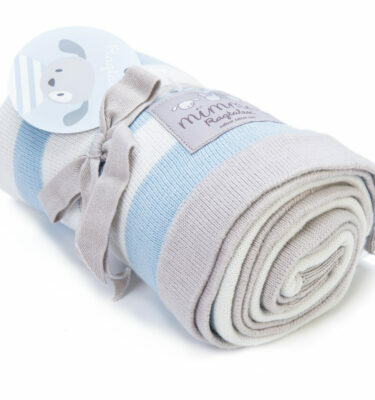 Matching products available within the Ragtales Baby Range; (900) Fifi Booties, (902) Fifi Rattle Softie and (904) Fifi Comforter. 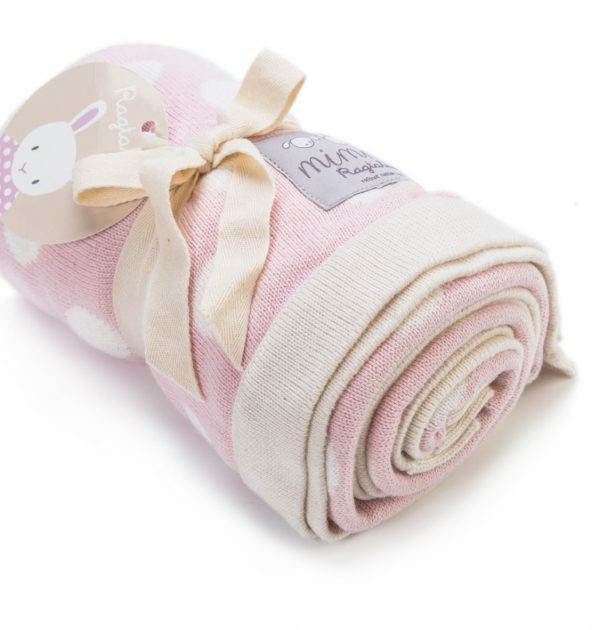 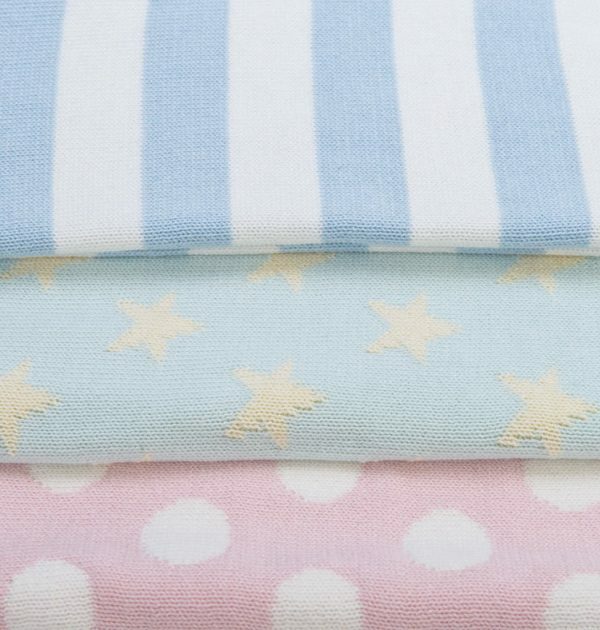 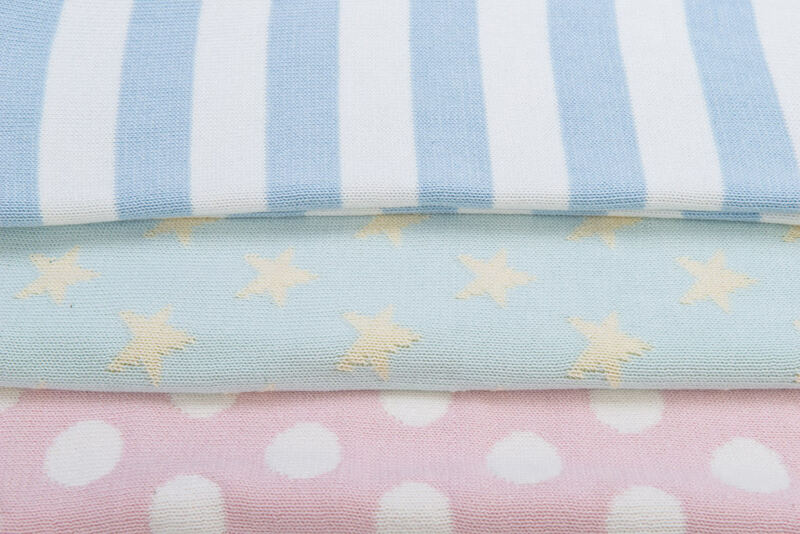 Other blankets available in the Mimmo range, Striped Blanket (Blue & White 910) and Star Blanket (Duck Egg & Cream 911).